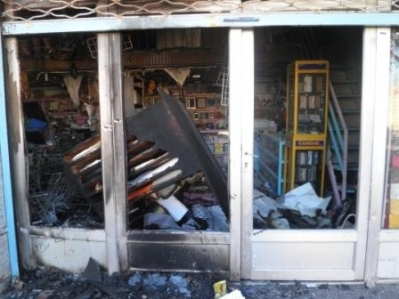 GENEVA — A recent wave of arson attacks on Baha’i-owned businesses in Rafsanjan, Iran, appears to be part of a campaign to fracture relationships between Baha’is and Muslims in the city. The anonymous document demands that Baha’is sign an undertaking to “refrain from forming contacts or friendships with Muslims” and from “using or hiring Muslim trainees.” The Baha’is are also told not to teach their Faith, including on the Internet. “Now, in addition to their livelihoods, their very lives are being threatened unless they promise to isolate themselves from their friends and neighbours,” she said. Ms. Ala’i noted that Baha’is have approached local authorities asking for an investigation. “But nothing has been done,” she said. The attackers have particularly targeted household furniture repair businesses, home appliance and optical stores owned by Baha’is. A newsletter published by a Muslim cultural foundation in Rafsanjan stated that the attacks have been provoked by the fact that some trades have been “monopolized” by Baha’is in the city. A Muslim-owned coffee shop was also set ablaze after the newsletter mistakenly identified it as Baha’i-owned. “Economic pressure on Iran’s Baha’i community is already acute, with both jobs and business licenses being denied to Baha’is,” said Diane Ala’i. On 21 December, the United Nations confirmed a resolution that expressed “deep concern at serious ongoing and recurring human rights violations” in Iran. The resolution specifically condemned Iran’s discrimination against minorities, including members of the Baha’i Faith.